Clonoe, Coalisland Na Fianna, Colin Gaels Belfast and Slaughtmanus of Derry all took part. The initiative was funded by Sport NI via the Active Clubs programme. 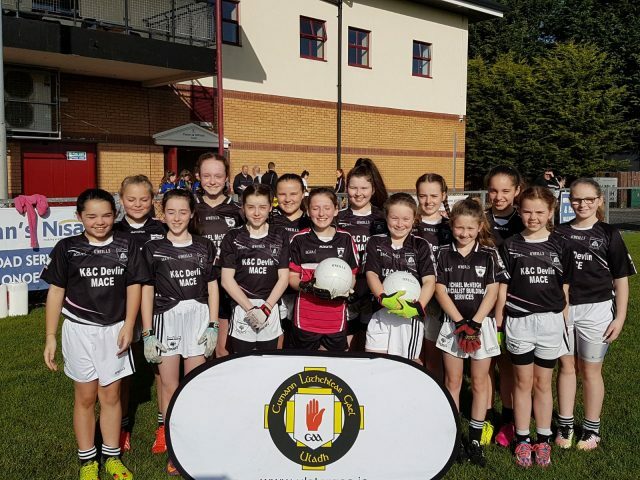 It’s aim is for the clubs to source 14-16 year old girls in their community who do not currently play Gaelic football, to get them taking part in a few training sessions, then the blitz and hopefully become new members. Of the 90 participants at the blitz on Saturday, 35 were new members to the clubs and were actually taking part in a Gaelic football blitz for their first time. On the day, Clonoe & Coalisland u12 girls were also invited to take part. 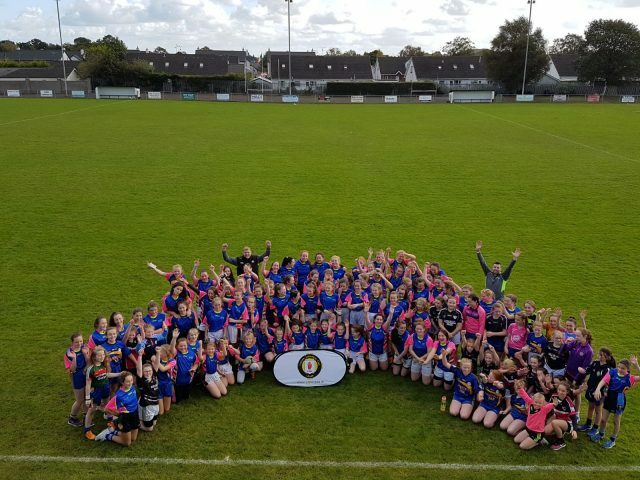 The girls all took part in a 7-aside blitz followed by presentation of the Girls To Gaels jerseys for the teams that took part in the initiative since early August. The day finished with lunch for all involved. The project was a great success and Ulster GAA aim to roll out the initiative in another area soon.